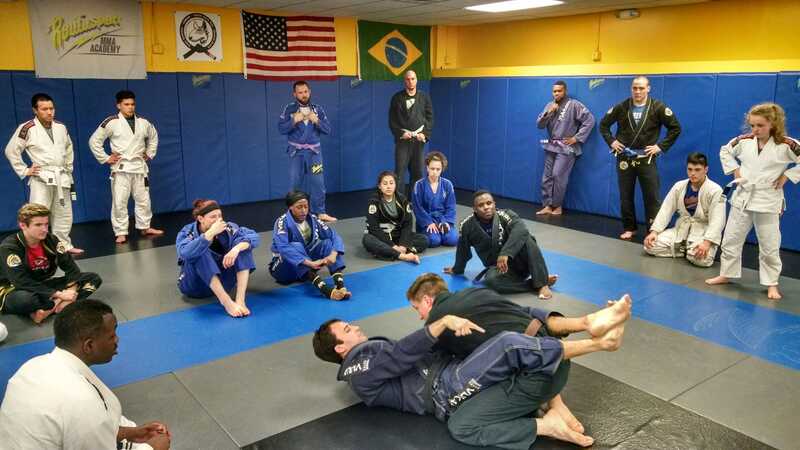 A dynamic form of martial arts taught at Roufusport Milwaukee, Wisconsin that is based in ground fighting, Brazilian Jiu Jitsu, is the latest “celebrity” among the mixed martial arts set. Offering a workout and a fantastic form of self-defense, Brazilian Jiu Jitsu is also attracting more celebrities – some fans and some practitioners – than ever. Roufusport’s head Brazilian Jiu Jitsu instructor is Daniel Wanderley, who earned his black belt under master Carlson Gracie Sr in 1992. Interested in learning about the Real Celebrities of Brazilian Jiu Jitsu? Read on. Following are just some of the celebrities who train in Brazilian Jiu Jitsu. There is a reason Ed O’Niell (previously recognized as Al Bundy from “Married with Children” and now appearing in the hit comedy “Modern Family”) can keep up with younger wife Sophia Vergara on the TV show – he has been studying Brazilian Jit Jitsu for more than two decades and is a black belt in the art. Actor Ashton Kutcher has been practicing Brazilian Jiu Jitsu for several years and was recently promoted to a two-stripe blue belt, cementing his street cred in the sport. The “MMA Personality of the Year” in 2012 and well-recognized UFC announcer Joe Rogan also podcasts his experiences and career in the UFC and with Brazilian Jit Jitsu. Brazilian Jit Jitsu is not just for men: Award-winning acclaimed actress Naomi Watts has trained in Brazilian Jiu Jitsu for several years (and she previously competed in amateur judo championships). You have to burn off some of that butter and bread somewhere – celebrity chef Anthony Bourdain (Blue Belt) uses Brazilian Jit Jitsu training to help stay in shape, and his wife Ottavia Bourdain is an accomplished Purple Belt who has won numerous competitions. Not surprisingly, Chuck Norris is a black belt in Brazilian Jiu Jitsu (not to mention in tae kwon do, judo and several other forms of martial arts). Guy Ritchie, a screenwriter and filmmaker and more famously Madonna’s ex, has a brown belt in the sport, as well as a black belt in judo, and he has been training since he was seven years old. Before his untimely death, actor Paul Walker trained in Brazilian Jiu Jitsu to support his action movie roles. Best known for his Oscar-nominated role in “The Green Mile,” Michael Clarke Duncan was also a big fan and a purple belt in Brazilian Jit Jitsu before his death in 2012. Entertainer and musician Ice T trains in boxing and Brazilian Jit Jitsu and is a regular attendee at UFC matches, as well. Brazilian Jit Jitsu and other martial arts help keep NFL field goal kicker David Akers limber and on the money. Actor Sean Patrick Flannery, who is known for roles in “The Boondock Saints,” “The Dead Zone” and “The Young Indiana Jones Chronicles,” is a black belt in the art and he also teaches classes in Brazilian Jit Jitsu. Actor Wesley Snipes has stayed in shape for years thanks to the sport – not to mention a dedication to tae kwon do, capoeira and judo, as well. Maynard James Keegan, the lead singer of both Tool and A Perfect Circle, uses Brazilian Jit Jitsu to help him hit all the right notes while performing on tour. A fan of mixed martial arts and an action superstar in his own right, actor Jason Stathom is a purple belt in Brazilian Jit Jitsu and he has several other belts in various disciplines to his credit, as well. Fans of “The Hills” might be surprised to learn that both star actors Spencer Pratt and Heidi Montag have practiced Brazilian Jit Jitsu. “American Ninja” Michael Dudikoff has been active in the sport for several years. Other notable actors who have studied Brazilian Jiu Jitsu over the years include Jim Carrey, Mel Gibson, Nicolas Cage, Milla Jojovich, Chris Conrad, martial arts movie star Jason Scott Lee and Keanu Reeves, as well as, director and writer David Mamet. Likewise, musician fans of Brazilian Jit Jitsu include Motley Crue drummer Tommy Lee, Ulisis Bella (tenor sax/clarinet/vocalist for Ozomatli – a darling of many movie soundtracks) and Rikki Rockett (drummer of the band Poison), among many others. Finally, other notable athletes reportedly in love with the art include wrestler David Bautista, football player Tim Tebow and Indiana Pacers center Roy Hibbert. The Crocodile Hunter, Steve Irwin, was also training in Brazilian Jit Jitsu at the time of his death. These celebrities and household names use Brazilian Jit Jitsu to train for their roles and tours, big events and regular day-to-day life. They credit the martial arts discipline with making them stronger, leaner, more focused and balanced, and better able to meet the demands of a busy life. And it shows when you look at their body of work. As Brazilian Jit Jitsu continues to draw worldwide interest and attention, and as more and more mixed martial artists credit the sport for their success, this list of celebrity fans and students is only going to grow. You too can join the growing list of Jiu Jitsu practitioners by starting with a FREE class at Roufusport. To do so, please fill out the Request More Information form on this page, call (414) 453-5425 or purchase our $19.99 5-Class Jiu Jitsu Trial Special by clicking the link below.